SHSU is committed to access and equality for all our graduates. 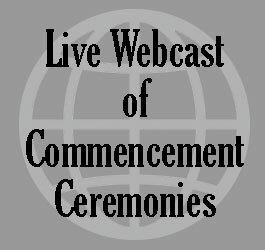 So we may accommodate our students with disabilities, please submit the Commencement Accommodations Request form at least two weeks prior to the date of your graduation ceremony. You will be contacted by a representative of the Registrar's Office by phone or email within three (3) business days of submittal to discuss accommodation requests. Students timely requesting will receive an email confirming accommodations at least five (5) days prior to commencement. Any questions prior to submitting the Commencement Accommodation Request form may be directed to Angela Buckner either via email to alb044@shsu.edu, or by phone at (936) 294-1061.